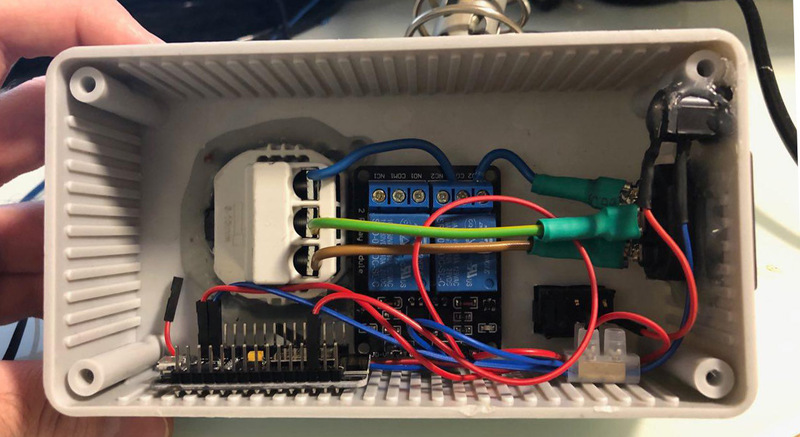 Using a simple relay board and an ESP8266, this project teaches you how you can automate your home! Home automation is a hot topic nowadays and even the simplest components of such a system can cost a lot. Therefore building custom devices with cost-effective parts can be an attractive alternative for makers. I’ll discuss the process of building a very basic system in this article. 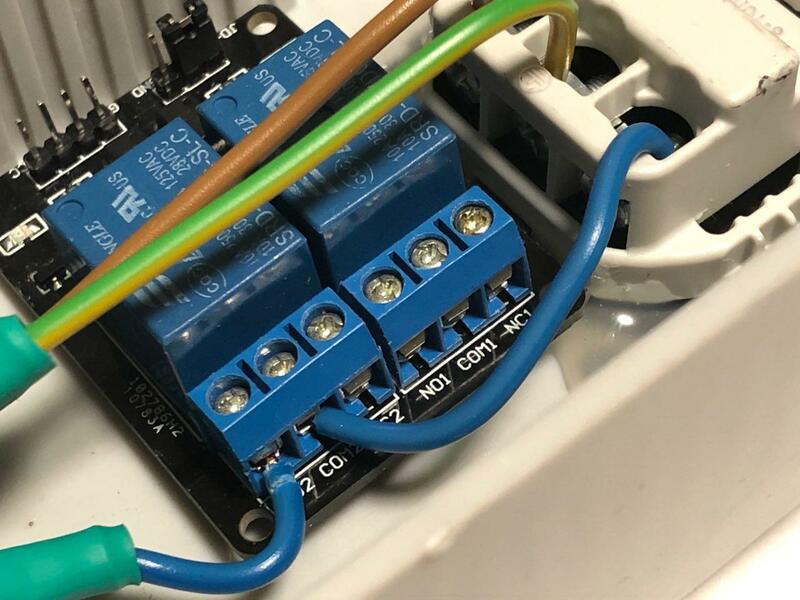 Experimenting is fun, but make sure to take all necessary precautions when working with mains voltage which has the potential to kill you. 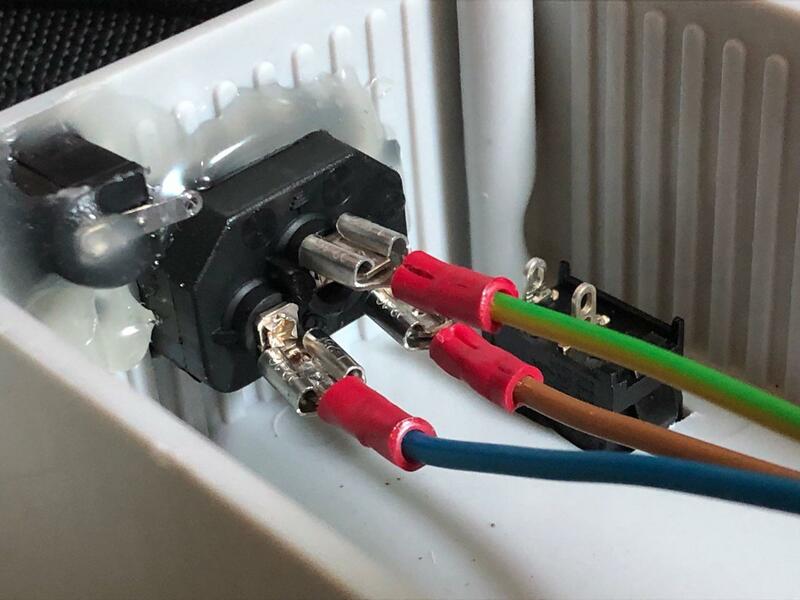 Take a look at the tutorial on controlling high voltage devices to learn how to switch high power devices and this summary of good and cheap IoT developer boards. 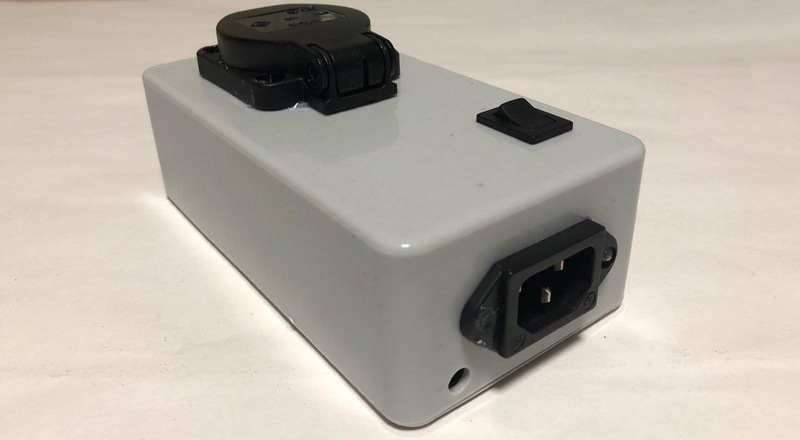 A simple relay board for higher voltage projects. 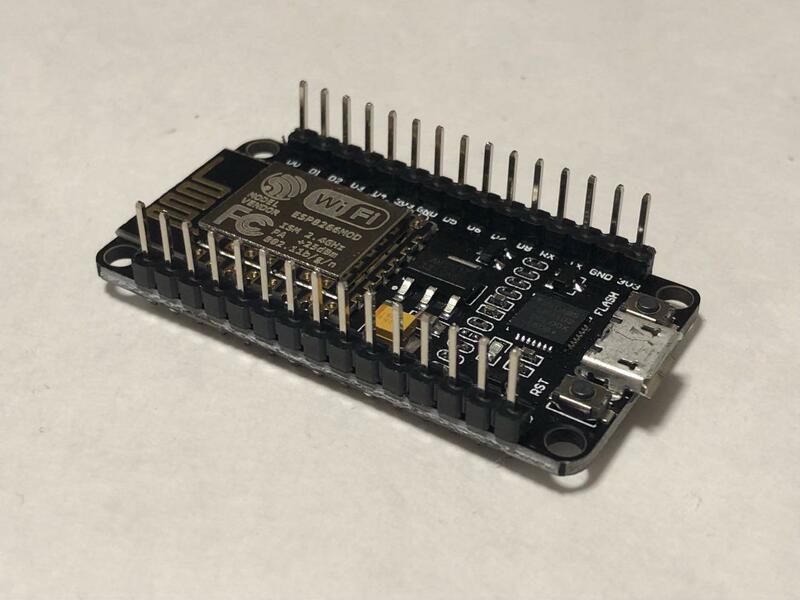 It’ll be controlled by an ESP8266 based IoT developer board which is fully compatible with the Arduino IDE. Alternatively, you could also use a standard Arduino and an ESP8266 (or similar) breakout board. You only need to make two connections between these devices. One of them is ground, the other is a control line for switching the relay which I chose to connect to D2 (digital pin two) of the developer board. 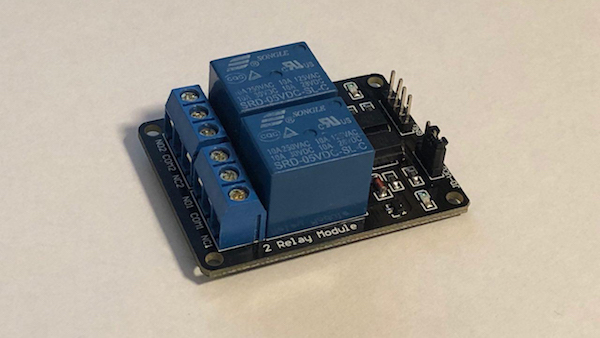 The relay and the MCU need to be connected to a five-volt power supply which, in my case, is accomplished with a simple DC jack. 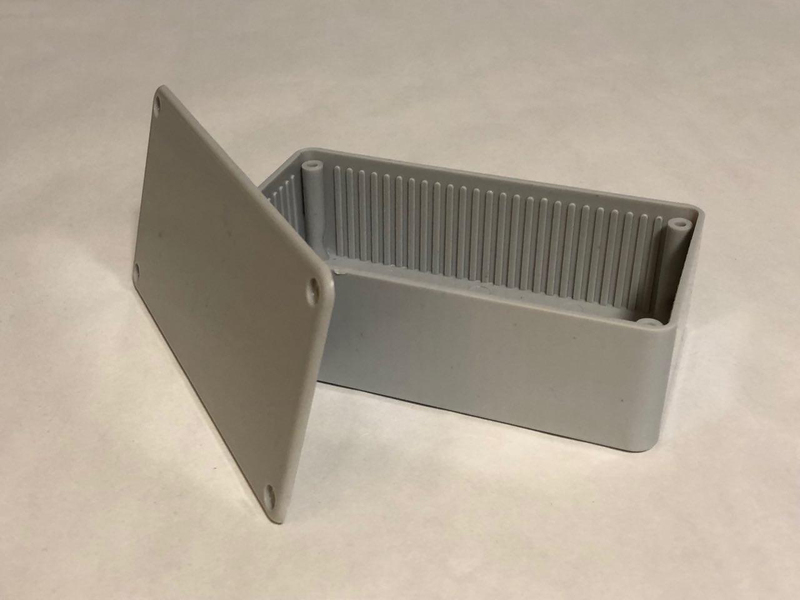 Use a standard grey project box to house the build. Make the necessary cuts in the project box. Use glue to ensure nothing moves and to make the box less susceptible to dust. Add cable shoes on one side of the three mains wires and connect to the IEC connector. Connect the phase to the mains socket and run the neutral line to the COM2 terminal of the relay before connecting the NO2 (normally open) terminal of the relay to the socket. Add the necessary cables to the DC plug. Once everything fits, tuck away the cables and close the case. 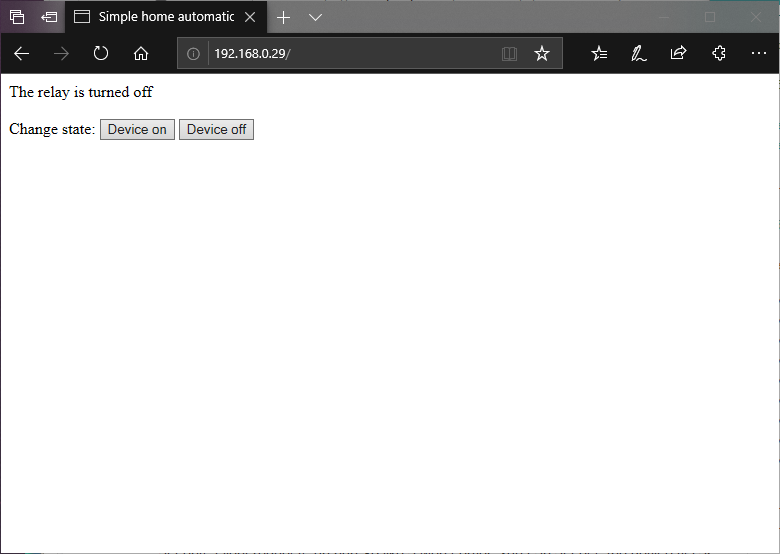 Access the device via any web browser. I won’t discuss the code in detail to keep the article short. However, I thoroughly documented the source code so it should be easy to understand. It is available at the end of the article. As you can see, it’s not terribly difficult to build such a device. Most of the work is done by the software. 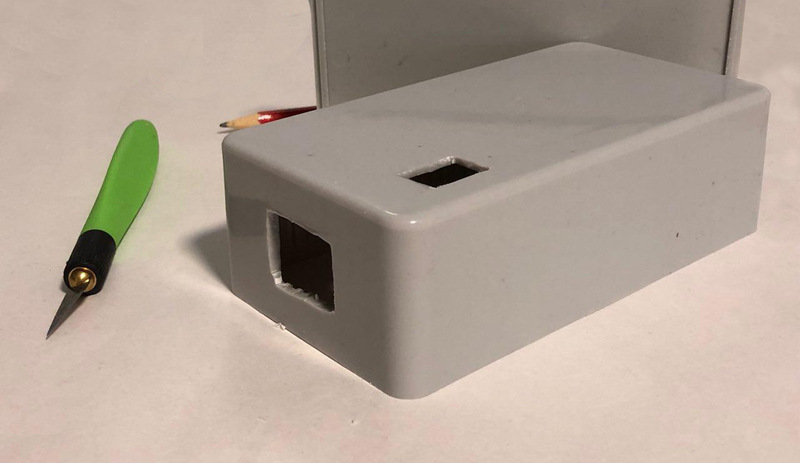 While this is the most basic approach, you can add sensors, timers, and other devices for automatically controlling the connected appliance. Furthermore, I recommend adding a fuse if you plan on using this device unattended. // You could add an EEPROM to store the last state if the device gets powered off. // card and display the files to a client when they connect. // basic HTML page with two buttons. // Check, whether the request contains "/state="
// relay is turned on when its input pin is pulled LOW. // so that the device can be managed.